Well it’s finally in! 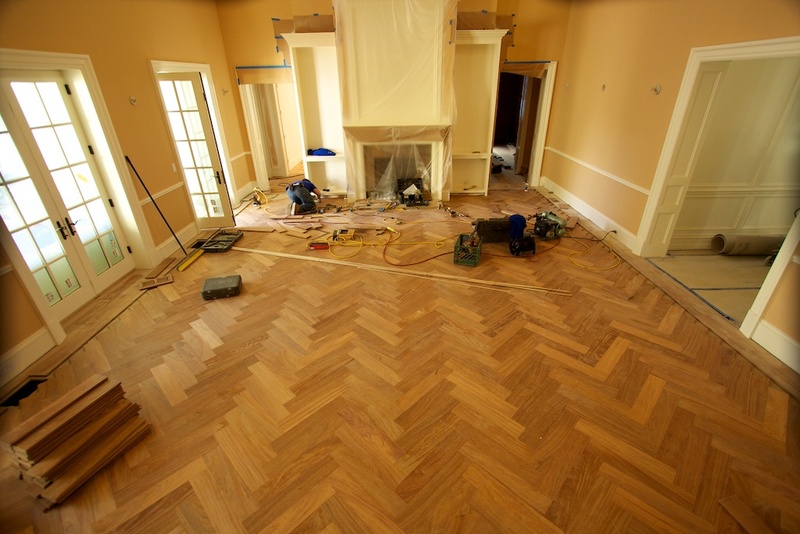 The Cumaru (Brazilian teak) herringbone pattern floor is nearly done. We installed the majority of the house months ago, but added the finishing touch with a beautiful pattern in the main room. The sanding came directly after, with the homeowner choosing a Royal Mahogany stain by Dura Seal. The pictures below are of the unfinished floor, with some of the finished product coming when we do the final coat in a few weeks. 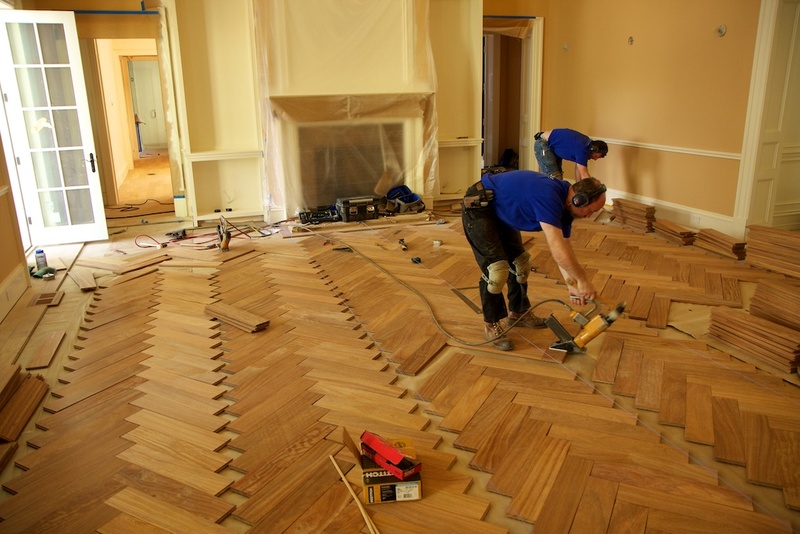 This entry was posted on Thursday, April 21st, 2011 at 9:55 am	and is filed under Floor installation, Hardwood Floors, Russell Hardwood Flooring Happenings. You can follow any responses to this entry through the RSS 2.0 feed. You can leave a response, or trackback from your own site. Copyright 2015 Russell Hardwood Floors. All Rights Reserved.